As I write this, The Fresh Market is celebrating the ingredient I’m introducing right here. I’m missing the celebration, but that’s the store where I first saw this seasonal, spicy specialty. 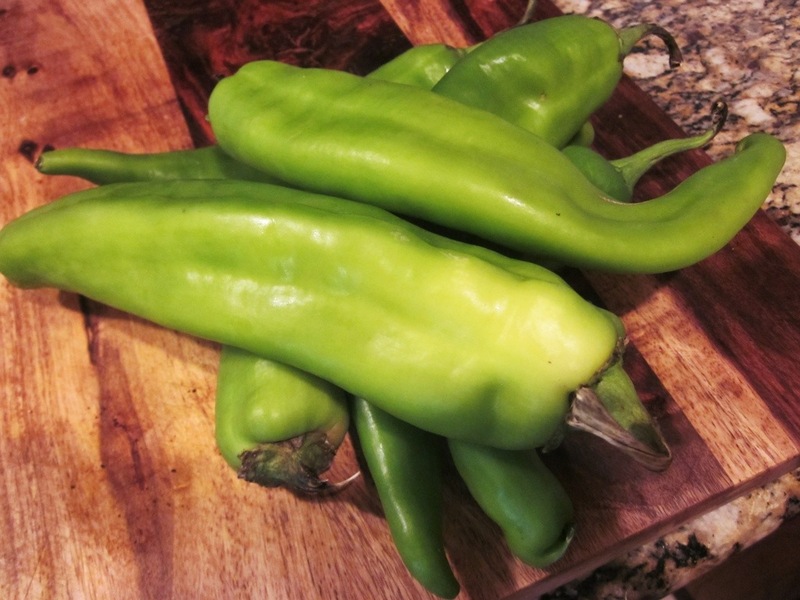 The Hatch Chile comes from the Hatch Valley in New Mexico. 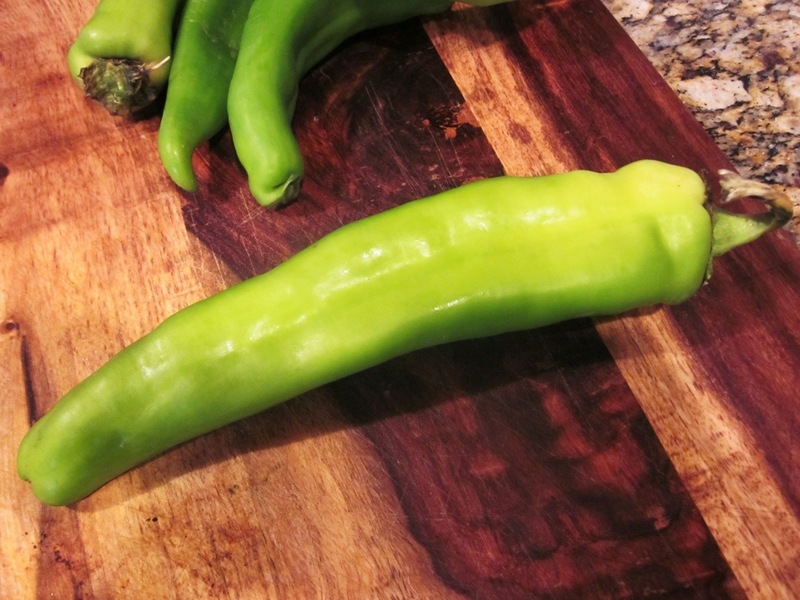 The soil and conditions there create the consistent flavor of this long, narrow, bright green pepper. Unlike most peppers, the Hatch chile is only available in late Summer during a very short season, hence the festival at the Fresh Market. The season is so specific that the chile used to be available only in the Southwest, but farmers branched out and started selling online and directly to stores. This chile is pretty mild, and didn’t seem to be nearly as spicy as one of my favorites, the poblano. To treat this treat right, I used it two ways: As a shell for a flavorful filling, and as a bright sauce to bring it all together. 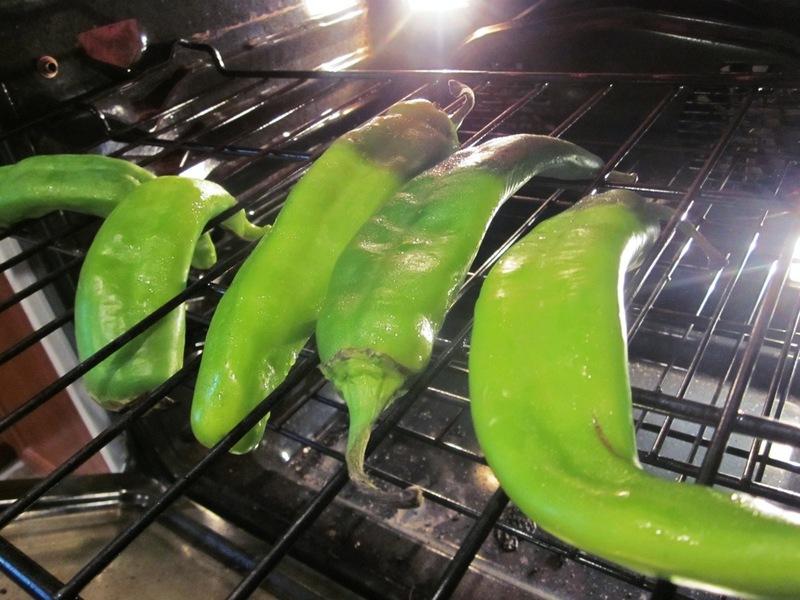 Line up the chiles on the top rack of the oven and turn on the broiler. Let them broil until all sides are charred. You have to keep a close eye on them. Once the skin starts to blacken and blister, turn the chile. Use tongs! If you have a grill, you can do this there, too. 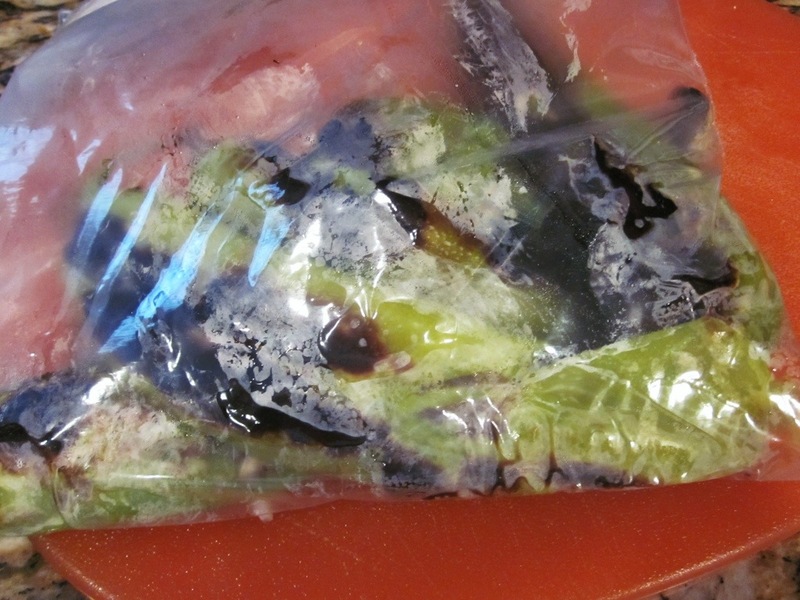 Once they’re charred on all sides, put the chiles in a large resealable bag, seal it, and let them steam for about 5 minutes. 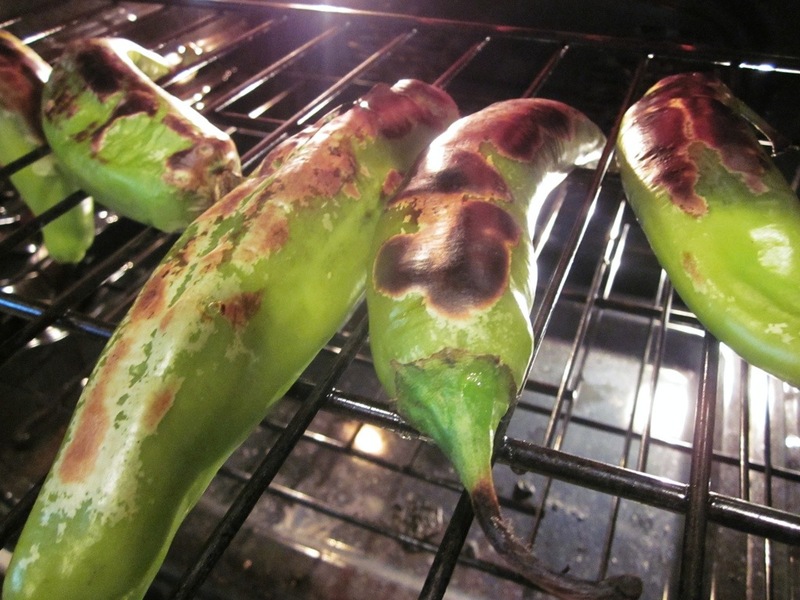 While the chiles are charring and then steaming, add 1 tablespoon of the oil to a large pan over medium-high heat. Add the onions, and let them soften, and begin to brown. Add a pinch of salt as they cook. 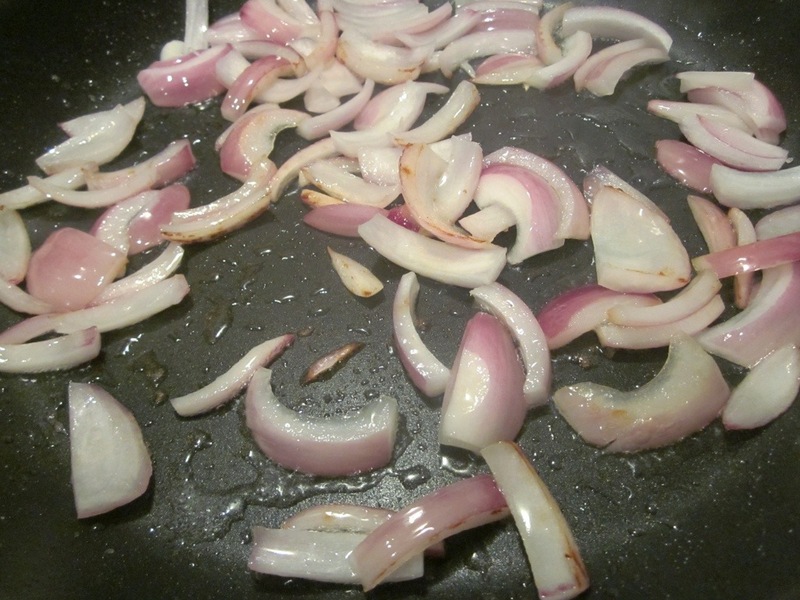 Once the onions are soft and slightly brown, spread them to the sides of the pan. Begin browning the mushroom slices in the center. Add a drizzle of oil to help them cook. Do this in batches, adding salt as you go. 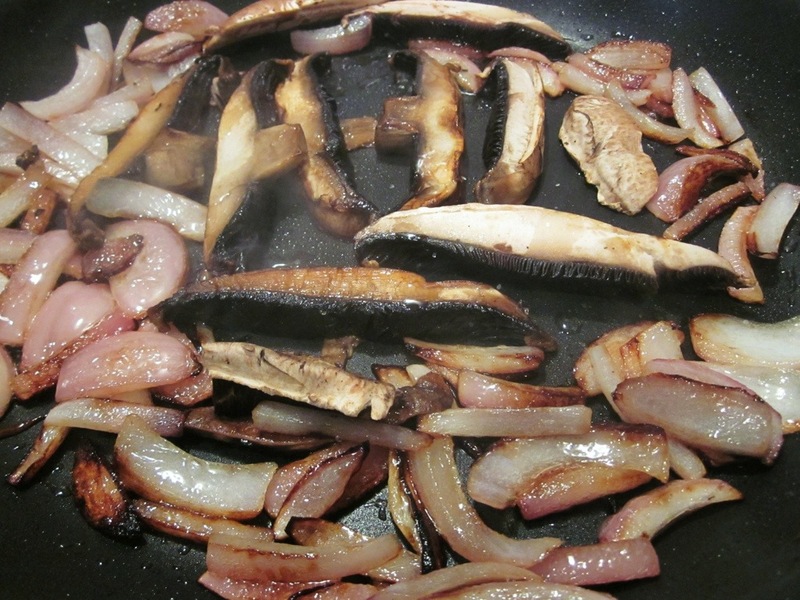 When the mushrooms are brown on both sides, remove them from the pan. 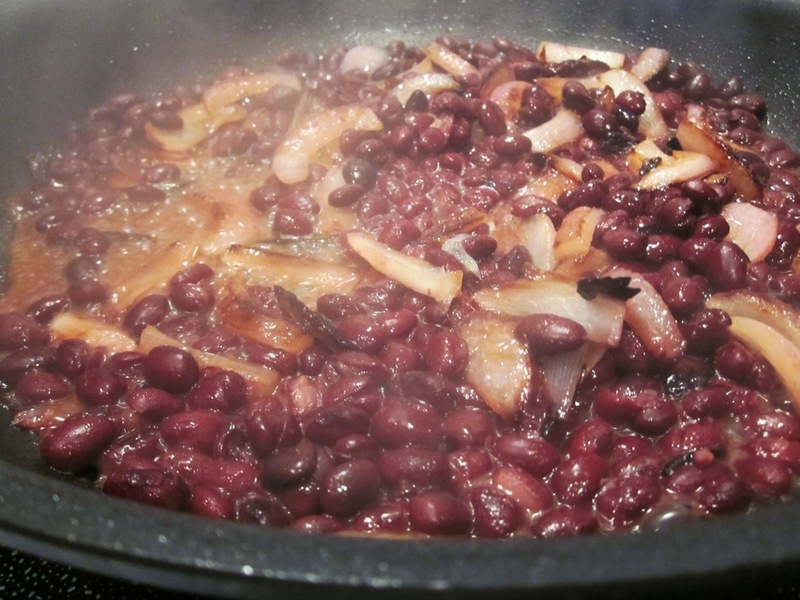 Add the beans, the juice of both limes, and the juice of the orange to the pan. Stir. Add the spices, and a good pinch of salt to the pan. Stir. Let the mixture sit at low heat. Take out the chiles and peel off, then throw away the skin. 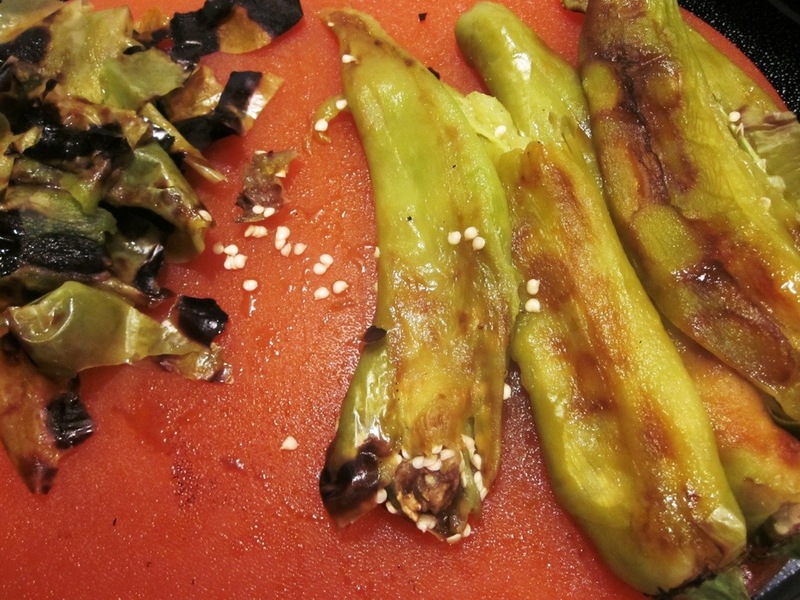 Split open the peeled chiles, take out the seeds and set them aside. Take 3 of the seeded chiles and add them to a blender, along with 1/4 cup of the oil, the 1/4 cup of red wine vinegar, the garlic clove, and a pinch of salt. Blend until smooth. Now, add the mango to the pan of beans, and stir. 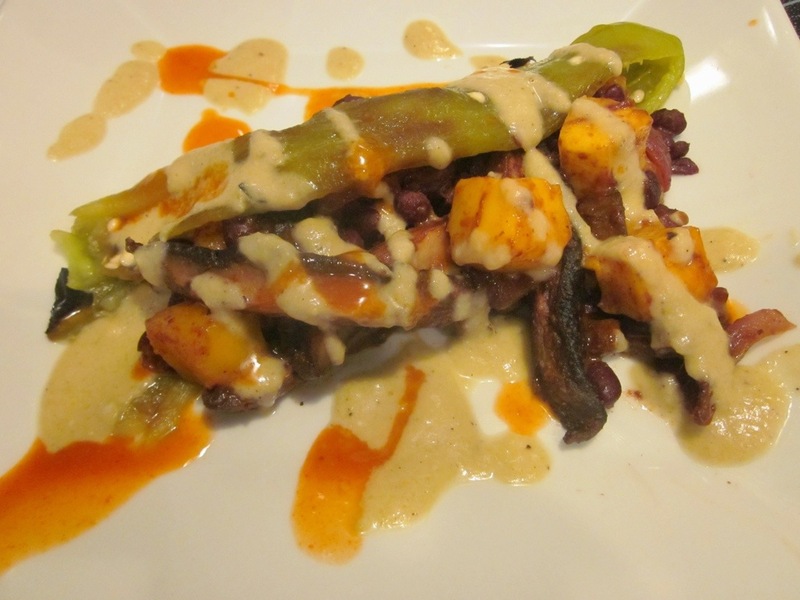 To do this, spread out one opened Hatch chile on a plate, put the bean mixture onto half of the chile and fold over the other side of the chile. Drizzle the Hatch sauce onto the dish, and then drizzle on your favorite hot sauce (we like Cholula). If you have sour cream or fresh cilantro, add that to the dish! The chile is super mild, but very bright. In the filling, you get the creaminess of the beans, a little zing from the onion, the meatiness of the mushroom, and the sweet tang of the mango. The sauce is super light, very bright, and has just a bit of tang from the vinegar. It’s creamy, but not thick. It ties everything together. 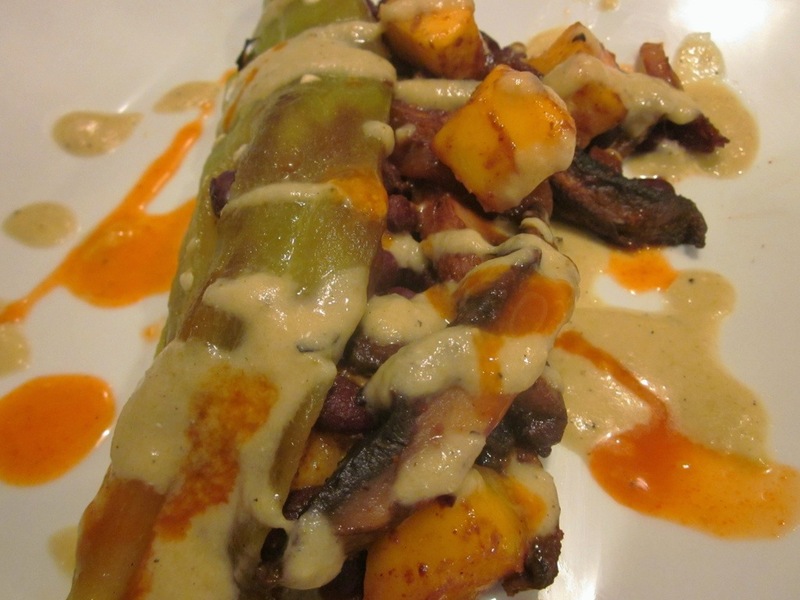 This was kind of an easy, and much healthier version of the usually-fried chile relleno. Hurry to the store and get hold of a hatch before they say, “Adios” for the year! Tip: If the vegetarian vibe of this dish isn’t cutting it for you, use shredded chicken (store-bought rotisserie would be great) or steak. You could also add rice to the filling.